No. 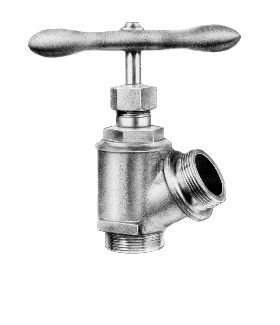 172 - cast brass double male Chicago pattern hose valve. 175 PSI for dry standpipes. Rough brass body and trim. Complete with aluminum hand wheel. Specify male outlet thread. Size: 1 1/2" x 1 1/2", and 2 1/2" x 2 1/2".